Health experts note that most people will experience back pain at some time in their lives. 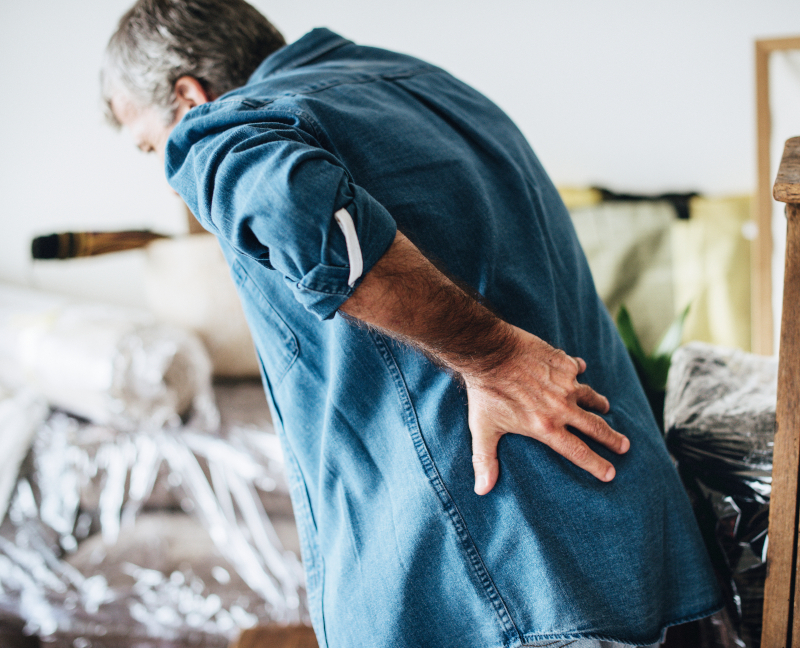 Athletic activities, work tasks, car accident injuries, falls and other accidents can cause structural damage that causes intermittent or chronic pain. At Everett Spine & Rehab, we can provide a range of treatment options to help you get back to your normal activities, pain-free and with greater freedom of movement. The spine is composed of a series of bones called vertebrae, surrounded by muscles, ligaments, tendons, and nerves that allow flexible movement. Low back pain is one of the most common types of spinal discomfort. It can occur because of damaged discs between the vertebrae. Back pain can also be the result of injured ligaments in the spine, sprains of muscles that support the back or compressed nerves that run from the spine. Dysfunction in any one of these structures can affect spinal movement and can result in pain, problems with mobility and decreased the range of motion. Conventional medicine offers many treatments for back problems, but many of these involve the use of strong medications or surgical procedures that require long recovery periods. Chiropractic care offers another alternative, one that uses no drugs and is completely non-invasive. Treatment may involve the use of spinal adjustment techniques, physical therapy, corrective exercises, ultrasound therapy, electric stimulation, massage therapy, acupuncture or naturopathic methods. These practices can be effective for reducing pain and improving range of motion.